Tangerine is situated on a quiet street with destination traffic. You can park your car safely on private property. Tangerine is situated in a quiet urbanisation. The distance to the beach is 11000 meters. Tangerine is situated above street level. The entrance is on the first floor. You reach the entrance through stairs upstairs. 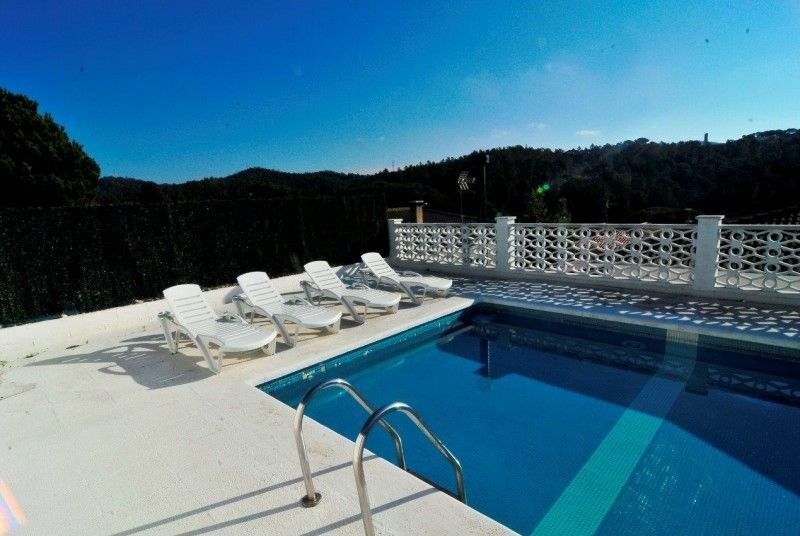 Tangerine is a fully detached villa with a private swimming pool. Ground floor: Here you find the living room, kitchen, dining room and 2 bedrooms and 1 bathroom. The interior of Tangerine is practical and functional. The inside is light with a nice atmosphere. Tangerine disposes of a a nice view the urbanisation. Tangerine has a built surface of 65 square meters. You have to your disposal terraces. You find the swimming pool at the backside of your villa. You reach the swimming pool through stairs upside. Here you can fully enjoy the Spanish sun and outdoor life. Tangerine has disposal of a permanent stone bbq . This holdiay residence is very suitable for families because of the big personal space.